Browse this page and you will see our commitment to safety, quality and to manufacturing the best wooden swings in North America. But, better yet, we welcome you to visit us and see for yourself what sets our quality swing sets apart from others. 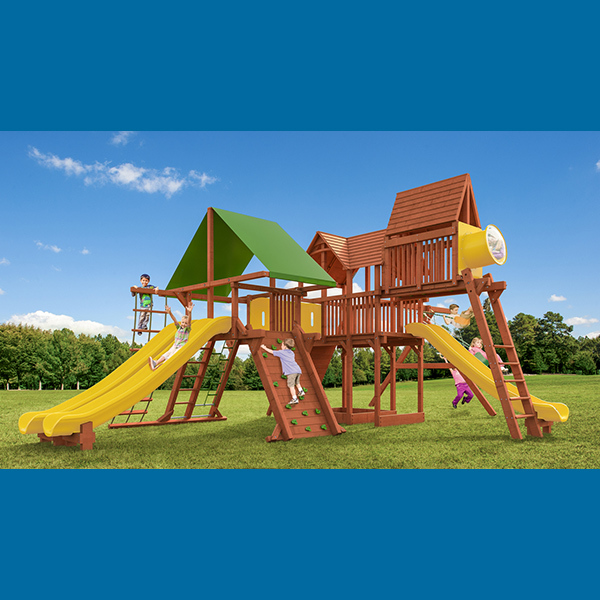 See why Woodplay playsets are best, safest, and longest lasting wooden swing sets for your child.